With all the new 2018 Subaru WRX and WRX STI owners out there who have never owned a Subaru vehicle before, you need to learn what it means to be a Subie owner. Unfortunately, they don’t teach you these important things before you drive your performance machine off the dealer’s lot. Most of the salespeople are new to the brand, don’t drive a WRX/STI and don’t even know what the Subie rules are. Here’s 13 rules for new-b Subaru WRX/STI owners you need to know to be indoctrinated into the Subaru culture. First of all, congratulations that you are now a Subie owner. Yes, you have to call your new Subaru WRX/STI a Subie, as that’s what they are called by long-time fans. The Subaru culture is as close to a cult as you can get, and you now need to know what it takes to be an indoctrinated “fan” (fanatic) of the brand. All Subarus, and especially the Subaru WRX/STI is not an ordinary automobile. You are now officially a part of a culture that loves their performance cars. When you are driving your WRX/STI and you see another WRX/STI, you must give the Subie wave, give a thumbs up, flash your lights, honk or acknowledge them somehow. It’s the first rule of the road. When you are in traffic and you see any Subaru vehicle wanting to get in line, let the Subie in first. Be extra courteous to other WRX/STI owners. If you see a rival like the Mitsubishi Lancer EVO, don’t let them in. When you are parking your Subie in any store parking lot, look for another Subaru to park next to. Subaru owners always park next to other Subarus whenever possible, even if it means parking father away from your intended destination. Change your profile picture on all your social media, Facebook, Twitter and Instagram (see rule Rule #12) with a picture of your car and let the world know it’s one of, if not your greatest love on the planet. Show off your car whenever you get a chance. Sit next to the back of your car, and have someone take a picture of you with your arm around your WRX/STI showing how much you love your car. Post the picture on Facebook, Twitter and Instagram for the world to see. Join your local Subaru Club, get involved, and go to the nearest Subie Fest or hyper meet near where you live every year. Put your car in the show and shine and make sure it’s looking its best. This is where you connect with other Subie owners, and get immersed in the Subie culture. If you don’t know what a Subaru Boxer is, you need to find out. Go to your local Subaru mechanic and get the lowdown on why Subie’s are the only vehicles with a boxer under every hood. If you bought a new or totally stock WRX/STI, you need to take it to your nearest Subaru performance tune shop and find out what it takes to improve the performance of your car. Get the latest engine mods, and performance exhaust system for your car asap. You need to spend every spare dollar you have on performance upgrades. It’s what you now ask for on Christmas and your birthday every year. And make sure you post pictures of your new equipment on social media. You need to know who Cobb is. It’s your responsibility to find out what Subaru rally racing madness is all about and what a rally stage is. You better know who Colin McRae, John Buffum, Richard Burns, Peter Solberg, David Higgins, and Travis Pastrana are. Watch a Colin McRae rally video to start your education. The first time it snows, you need to be the first person out on the road, and take your unbelieving friends out for a ride. Show them why your Subaru is even more fun to drive on wet, gravel, snowy and muddy road conditions. Even better, take a video clip of yourself doing donuts in the parking lot and post it on your Instagram page. Once you buy a Subie, you don’t sell it to just anyone. Either it gets handed down to a family member, or you make sure it ends up in another loyal Subie enthusiasts garage. Only sell it to someone who is going to love it like you did. 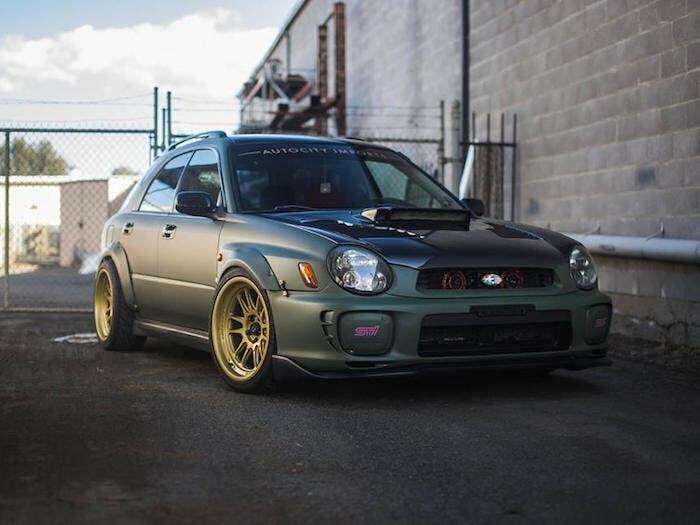 You need to know why the first-generation 2002 Subaru WRX was called a “Bugeye”. You can check out the picture above and probably figure this one out pretty easily. Each new-generation WRX/STI has its unique name, like blobeye and hawkeye and you need to know what they are. Set up an Instagram account if you don’t already have one, and put a picture of your WRX/STI as the profile picture. You will need to also let everyone know it’s the most important thing in your life, and you Subie comes before all your relationships. Post as many pictures of your new car as you can. You can include your girlfriend or boyfriend, but only if they appreciate your love for your car. When you stop at the gas station to refuel your performance car, or when you are at the car wash, you have to stop, take a picture with your iPhone, and immediately post it on your Instagram account (see rule #3, #12). Above all, have fun with your new 2018 Subaru WRX/STI performance car. It really is more than just a car, and do your homework and find out why #ItsASubieThing. If you are a Subie WRX/STI enthusiast, or Fozie fan, feel free to add your own rules as this is not an exhaustive list. It’s just the beginning of getting indoctrinated into the Subie culture. And, if you don’t look back at your car after you park it, you own the wrong vehicle and need to buy a Subie. I was in the Starbucks drive through line and a WRX Blue Subie sedan was in front of me. I got to the Window for my order and the laday said. Do you know that guy he just paid for you. I said wow I don't know him but I know why because we both have the same care. This totally made my day to know how gracious our folks are.